RICHMOND, Va. (AP) — Embattled Virginia Lt. Gov. 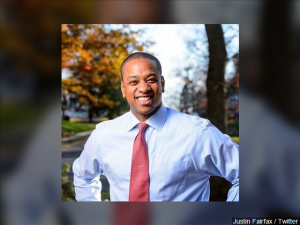 Justin Fairfax has lost several staff members after two women accused him of sexual assault and much of the state’s political establishment called for him to resign.Two of his three state staffers resigned as well the director and the fundraiser of his political action committee. Their departures were first reported by the Richmond Times-Dispatch. Fairfax spokesman Lauren Burke said in a statement that the Democratic lieutenant governor “wishes them well.”The duties of Virginia’s lieutenant governor are largely ceremonial and part time, but the office is often a springboard for a gubernatorial run. Two women came forward last week with allegations that Fairfax sexually assaulted them, prompting widespread calls for his resignation. Fairfax has denied the allegations and said he won’t step down.